The UB work in Thailand started within sight of Myanmar, in the distant mountains of the northern Thai border, and focused on a minority people called the Akha. While maintaining the important ministry among the Akha, we are developing new work in a new setting among a new people group. 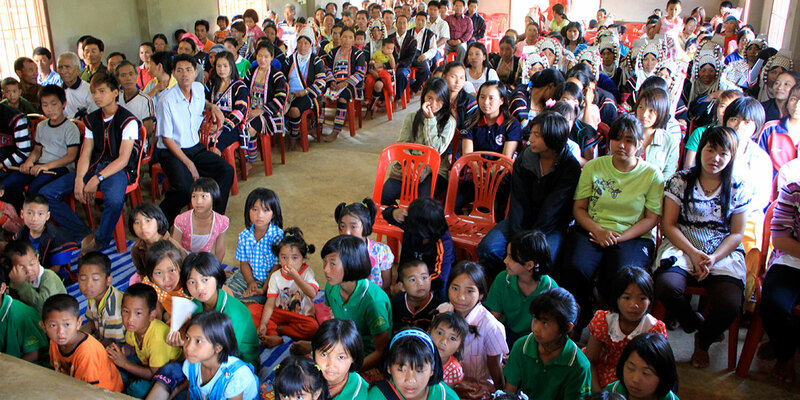 After two hundred years of Protestant missions, less than 1% of the ethnic Thai people are Protestant Christians. This sobering fact moves us to action. Global Ministries is working in partnership with our United Brethren in Hong Kong to begin church planting work in the city of Chiang Rai. Through language education and community development, we aim to join God’s work in an urban setting among the majority Buddhist people group. Currently, one couple continues to work in the mountains while a new couple is Northern Thailand, participating in language, culture, and ministry training. Four additional family units are in the training and preparation phase in their home countries. A unique facet of this future team is that it will be comprised of East Asians, Southeast Asians, Central Americans, and North Americans. In 2016, UB Global and Hong Kong Conference partnered to launch a major new initiative in Chiang Rai, a major city in northern Thailand. In August of that year, Brian and Rachel Glunt and their children, from Fort Wayne, Ind., arrived as the first members of a multi-national team. A few months later, they were joined by Julie and Lai, two single women from Hong Kong Conference. In early 2017, another single woman from Asia, along with Milton and Erika Pacheco from Honduras Conference, arrived to complete the team. The ministry in Chiang Rai will focus on a variety of ministries aimed at Thai Buddhists, the majority but little-reached population. Read more about the Thailand Initiative. Rev. H. M. Lee is superintendent and founder of the churches in Thailand. Thailand is about the size of France or California. It has 67 million people. 85% of Thai are Buddhist. The remainder are predominantly Muslims. Christians of every description comprise a mere 1% of the population. In 1991, the leaders of Hong Kong Conference felt a burden to reach the Chinese people of northern Thailand, particularly the Akha people. Peter Lee, the Hong Kong superintendent, had some contacts in Thailand, and they secured the services of Rev. 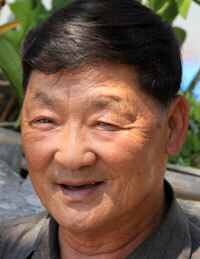 H. M. Lee, a teacher living in the mountains along the border with Myanmar. Rev. H. M. Lee was a former military officer left behind enemy lines in the infamous Golden Triangle. This area once formed the epicenter of the opium trade that straddled the borders of Thailand, Burma, and Laos. Through the influence of a Chinese missionary, he overcame his own addiction to opium then married the daughter of the village chief at Loh Mah Village. 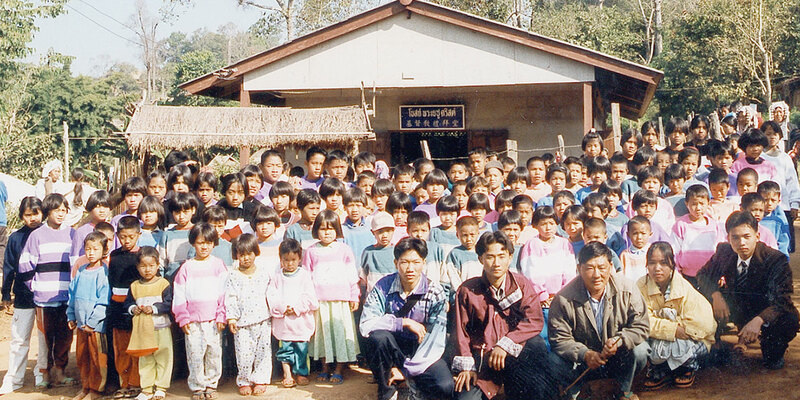 In 1994, the ministry began with the start of a Chinese-Thai school for elementary age children in Loh Mah Village. Teacher Lee, who is himself ethnically Chinese, taught children to speak Mandarin Chinese. A church arose in Loh Mah Village. The cement building, with a wood superstructure holding up a tin roof, was finished in November 1995. Hong Kong Conference provided most of the $12,000 cost. A great deal of persecution took place as people came to Christ. Sometimes, Christians were not allowed to live within the village. Fortunately, the church property included several acres of land. A Christian who was expelled from his home or no longer felt welcome by his neighbors could build a home on the church property. 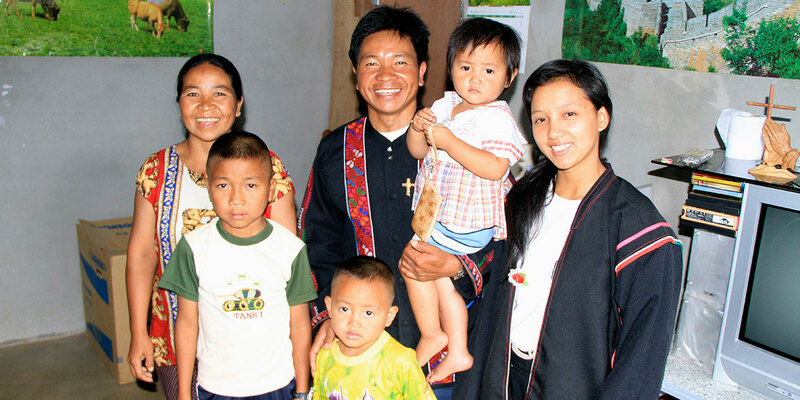 Over time, the Akha in that area have become more tolerant, and actually appreciative of what they see in the lives of Christians. In 2005, through a VBS project, the investment of Salem UB church in Pennsylvania, and the involvement of Hong Kong Conference, land was acquired for a church in a tea plantation. A church was built there, and it was dedicated in 2007. Today, there are two churches and a school in this mountainous region. Thailand was known as Siam until 1949. It is bordered by Myanmar, Laos, Cambodia, and Malaysia. The Thai people began settling this area in the 6th century. The area has always been heavily influence by the culture and religions of India. Thailand is the only country in Southeast Asia that was never colonized, mainly because of its strong rulers in the 1800s. Various kingdoms have ruled Thailand through the centuries. The most powerful was the Khmer Empire, based in Cambodia, which ruled from the 9th to the 13th centuries. The Kingdom of Ayutthaya existed from 1351-1767, when it was conquered by Burma. Modern-day Thailand traces back to 1782, when the Chakri Dynasty was founded. A bloodless revolution in 1932 resulted in an end to absolute monarchy and the adoption of a constitution and a legislature (half elected, half appointed). The 1997 Constitution created a two-house legislature, all elected–a 500-seat House, a 200-seat Senate. However, Thailand, though it has adopted most elements of a democracy, retains a British-style Royal Family from the Chakri household. Thailand was loosely allied with Japan during World War 2, but emerged from the war as a US ally. Thailand endured a series of coups and military regimes until the 1980s, when stability and democracy took hold. A military junta overthrew the ruling government in 2006, and banned political activities for a year. A new constitution was adopted in August 2007, and the country returned to democratic elections in December 2007. The country entered a period of political crisis in late 2008, with violence breaking out in April 2010.